We had reported back then that the Galaxy S7 Olympic Edition was coming and now it's finally here. You can own the Samsung Galaxy S7 Edge Olympic Games Limited Edition for $50 more than what the unlocked regular Galaxy S7 Edge costs. This is the second limited edition series based on the S7 Edge that Samsung is releasing this year, after the Injustice: Gods Among Us Edition that we saw in May. Sadly, the Gear VR will not be bundled in along with the Olympic Edition, like it was with the Injustice version. The $850 package will include a custom pouch for carrying the sporty device around though! 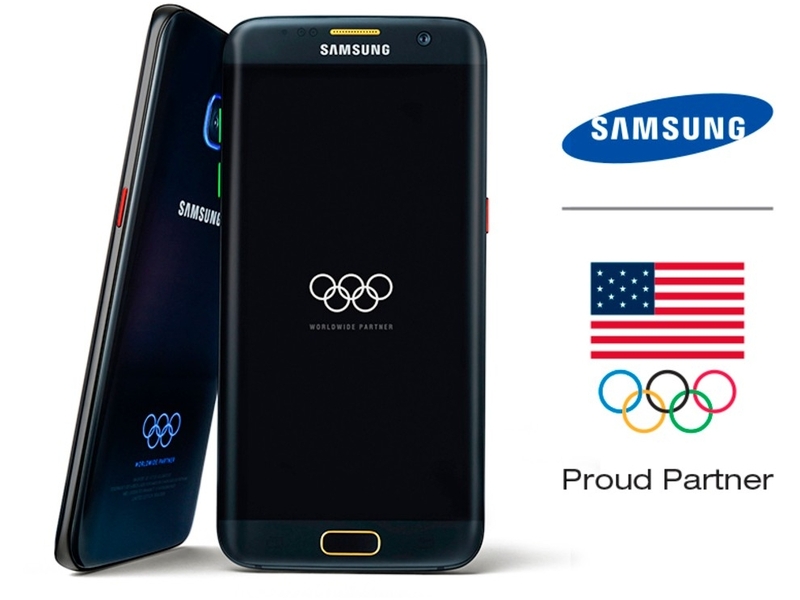 As we had seen earlier, the entire theme is based on the five different colors of the Olympic rings and the rings themselves can be seen at the back of the smartphone. It has been made available exclusively in the US, China, Korea, Germany and Brazil. As the moniker "Limited Edition" suggests, only 2016 units will be made available for purchase in each of these countries.